Keep your dry ingredients fresher for longer in the Typhoon Imprima Pyramid Round 1.2-litre Storage Tin. Comprising of a quality, environmentally sourced bamboo lid and embossed stainless steel body, this container is specifically designed for freshness. The airtight seal means no odours can escape, and no air can get in, whilst the satin matte coating gives it a contemporary, warehouse-style finish. 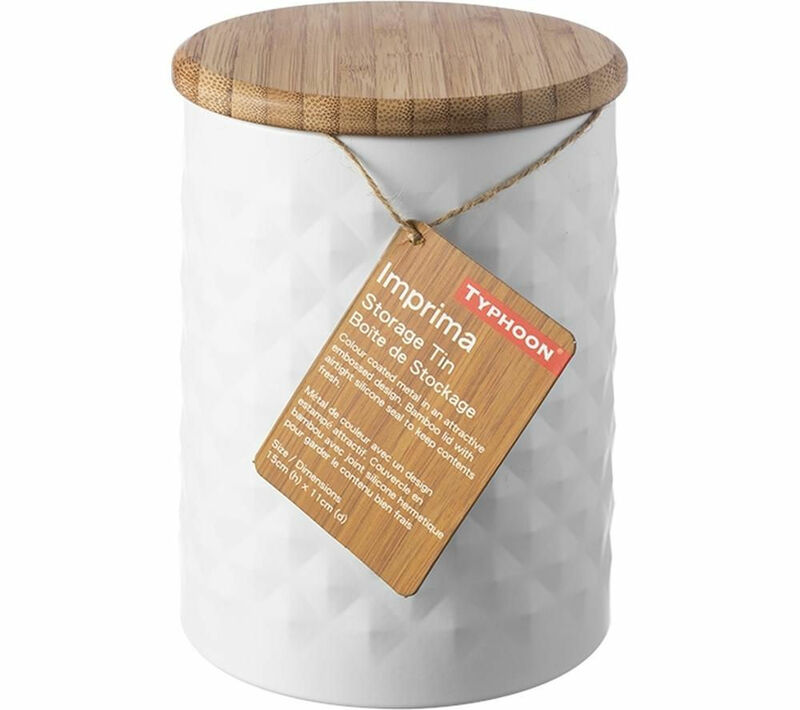 Ideal for storing rice, flour, coffee or dry pasta, the large Typhoon Imprima Pyramid Round 1.2-litre Storage Tin looks great on any kitchen counter.